Prior to establishing the requirements of the region and the needs of the people we conducted a strategic research in Hasbaya district and ibl el saqi. Group discussions with various groups in different villages were held and as a result we reached the statement of need described below. Hasbaya district is composed of 3 main groups Sunnis, Christians and Druze that have differed in numbers mainly due to economic reasons. In Hasbaya itself there are 9 churches and a mosque. The only reason we mention this is that while each community lives its life and practices its traditions freely all the communities are bound together as one wonderful mosaic and have never had any conflicts. While this historic bonding forms the core of inter-relationships, it none the less presents certain challenges due to the cultural differences which we respect and recognize. Therefore, Empowering Society entails education, training and cultural exposure & integration which will help to bridge the gaps between the different communities in the district and between the communities of the rest of the Country and the World. On a different yet related thematic level, we have clearly seen that the quality of education can be enhanced, especially that the younger generation has shown poor communication skills in Arabic, English, and French. Many reasons stand behind that namely the educational system and limited resources. “The foundation of every state is the education of its youth”. We have also noted on the third thematic level, related to Women that many lack the skills and the means to express themselves. It is certain that Women play a major role in developing society, for they are the first and last school children have before they enter the realms of life. Women being improperly equipped make it harder for them to deliver values to their children, and that might be one of the Core problems Hasbaya faces. Therefore, it certainly is important to Empower Women, to provide training and exposure enabling them to acquire more knowledge, more skills and opportunities to express themselves, with the aim of improving the way they live, and by default the way they raise their children. The children who will become the men and women of this society. Finally, we have noted that people living in the District lack the resources and knowledge to improve the quality of their lives and their economic revenues. To achieve such, knowledge, training and financial aid is needed. In this thematic area, we have included programmes, that can benefit all inhabitants within the District. This program will be provided in partnership with the British Council, online. The program will allow individuals to work on their English skills in accordance with their level. Each level is constructed and supervised by the Council. At the end of each level, upon the completion of the exam, the Council will provide the student with a certificate. Having the program online, allows the Foundation to accept a high number of students. This program is also in partnership with the British Council, and it will allow students in need of doing the IELTS to register at our premises for the exam. It is worth noting that we are the only registration Centre in the South, therefore this Service will not only serve inhabitants of Hasbaya, but those of Marj’youn, Rashaya and Nabateyi as well. The importance of this program is that it will allow an exposure to the English language within our areas, which is an essential tool for anyone wishing to be successful in their professional lives. It also assists the inhabitants by providing them with a local registration Centre that would spare them the need and cost to seek registration in distant locations. Being a partner of the British Council establishing a strong relationship with their Country team, will not only give the Foundation exposure and credibility, but will also allow the Foundation to be one of the preferred local partners for potential future projects given by the UK Government. According to our research a reasonable number of people, have stated that they love to read. While there is a public library in Hasbaya, there are no book clubs, where people can get together to listen to a book explained or to have a discussion about a book. While this idea is rather strange to locals, promoted properly, being introduced as a new activity, we do believe, introducing a book club, can get people into reading, and into breaking the walls between them. Our Research Centre will provide the space and facilities. This will most certainly be an introduction to open dialogue over concepts and ideas that would bring people closer together. 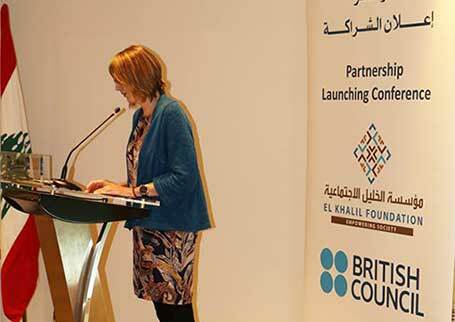 As part of our partnership with the British Council, the Council has agreed to train an English Instructor chosen by EKF to become a certified IELTS English Trainer. This on one hand will allow a certain English teacher of our choice to become Council certified and on the other hand will allow the Foundation to conduct numbered preparatory Courses for IELTS before exam. A recent research that we have conducted found that almost equal numbers of youth wish to stay, as those wishing to leave their villages. Although this –in itself – is not significant in anyway, the reasons are obvious: youth wishing to stay is due to attachment to family, and those wishing to leave is due to the lack of opportunities and the inability to build a descent future. Though the youth realize that issues exist within their communities, most were, in general unable to specify what the real problems are or how to deal with them. Our recent research showed that the Youth in general, do not feel that their communities represent them, nor understand their hopes and aspirations. They feel that in sense, they are locked into very conservative traditions, which have created serious gaps between generations. The Israeli occupation of 20 years, has, to some extent, imprisoned them in an “Ice Age” without the ability to interact with other communities and cities outside their region nor to exposure to the culture of the world. Furthermore, due to the limited opportunities to higher learning and to acquiring new skills, and due to their belief that they cannot impact change, the youth have become complacent and reluctant to innovate and simply bemoan their condition and frustration. In this thematic area similar to the previous one, programs included will benefit the youth, their skills and Leadership abilities and will have a ripple effect on society as explained below. The skills mismatch has continued to grow with globalization and as many countries transition to a more service-oriented economy. Employers are finding that regardless of their level of education, most new hires lack communication and client-relations skills; organizational and prioritization skills such as time-management; and Current LSY Programs flexibility and adaptability. Entry-level employees in many emerging markets may be technically overqualified, but lack teamwork and interpersonal skills, making collaboration with colleagues and problem-solving between team members difficult. • Improve economic outcomes for youth: Life skills programs have been shown to increase the earning potential of young people. In addition, they position youth to obtain jobs of better quality and formality, measured by written contracts and employer-paid insurance. When young people are provided interventions that include non-academic supports in social-cognitive skills, learning outcomes improve as do completion/graduation rates. • Change personal behaviour and social attitudes of youth: Life skills programs allow youth to create a life plan and equip them with the skills to take steps toward achieving their goals. They also help young people to better understand healthy personal behaviours, thus decreasing outcomes such as, drug and alcohol use, and interpersonal violence. 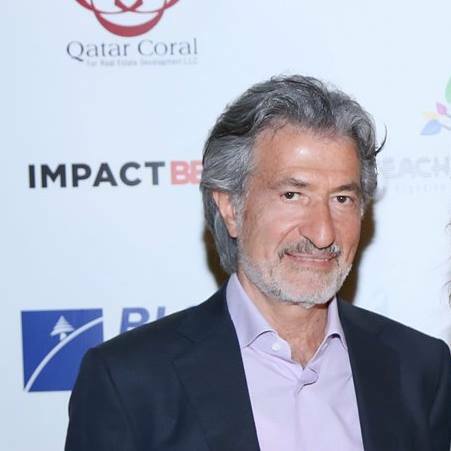 As a result, they help to increase young people’s sense of self-esteem and expectations for their future and the future of their children. Education plays a vital role in shaping tomorrows’ leaders. Acquiring new skills through education is necessary to be productive members of a civilized society. Only through knowledge and experience can we actively achieve and meet challenges that we face in life, and produce changes which are productive for attaining business innovations, political and economic objectives. Our world is constantly changing and it requires a society that is well versed in understanding the problems deriving from economic, government, religion and culture differences. To quote a phrase from Gottfried Wilhelm Leibnitz, "Make me the master of education, and I will undertake to change the world." If we are to change the world, we need to continue to acquire the education necessary to increase knowledge; to make a difference in the world by putting into motion what we have learned. It was noted that most of the youth in the district do not feel happy going to school. This might be due to the fact that children do not see that schools represents them anymore. Improving the quality of education is therefore an essential Programme that would make schools as a result, joyful again. While the end beneficiaries of this programme are the youth in schools, these trainings will target schools and teachers alike. One of the major concerns which we all know is employment. Beside the many reasons we already mentioned there is another major reason that is poorly noticed, and that is the fields of study that our Youth choose for their Higher Education. It is well noted that Youth seek fields based on parental pressure or social expectations or poorly made decisions considered under stress and lack of options caused by the lack of knowledge in the many fields available for Higher Studies. There are many emerging fields which our Youth are not aware of or would not understand even if told about. To assist Youth in their choices we will be inviting each month a new Local University to explain to the Youth their programs, their available fields, financial assistance options, dorms options and other important details. We will also help the Youth from the District to participate in the open days of the universities, by providing dates, on campus entrance and transportation. The programme will be completed with the assistance and involvement of all the schools in the District. Active Citizens is a social leadership training programme that promotes intercultural dialogue and community-led social development. Through the programme, we bring together people with different beliefs and perspectives to learn from and share with each other. High school students are trained indirectly by their teachers, in the skills and knowledge needed to affect social change in their communities. The programme therefore addresses high school teachers, enabling them to become facilitators for the Programme in their schools. While this is a sensitive thematic area we believe that it is important to focus on the needs of women in the district and provide them with the necessary tools and education that can enhance their abilities and potential. As such we have developed specific programs that we believe will attain this objective. The Economic Empowerment Program, while similar in some aspects with the previously explained Development Program, it is actually quite different. This Program is intended to reduce the gap between men and women, in terms of human rights and economical value. Making Women understand their value and potential, will lead eventually into enhancing the economic status of the society, by expressing the importance of Women’s participation in the advancement of their communities. Part of the problem Women face is the fact that their work, any work they do paid or unpaid goes unrecognized. The program is based on understanding women’s multiple, vital and yet invisible roles and economic contributions. Along with promoting and making their work, voice and leadership, visible and present. • Learn skills that would allow them to produce handmade items and products. While this Program might assist in bringing financial empowerment to women, it is mainly aimed at making women realize that even their least action is of great value and has a huge impact on the different aspects of life. This program will be achieved through capacity buildings trainings, policy dialogue and advocacy. Where women were able to produce handmade items & goods intended for sale, market access might also be included. Professor McClelland of Harvard has made a very interesting experiment back in the 1960’s which proved that people’s burst for energy and creativity is caused by the need to achieve and not by the need for money. Going back to Hasbaya, it is obvious that women have a real need to achieve in a society that according to them has deprived them from their basic rights to be heard and to contribute economically or be economically independent. However, many women do indeed have such a freedom, and have established various small scale enterprises and shops. Many Women are also active in societies and NGO’S. What most do complain about and need is to enhance the skills related to their abilities to work and succeed. Due to the poor education, and the decreasing employment rates, Empowering Women into seeing new opportunities and acting properly upon them remains our best opinion. While this Programme originally is to assist Women in starting a business, all Women can benefit from it regardless of their vision or goal. It will bring higher potential to Women in dealing with situations in life, more effectively and critically, introducing creative problem solving. This Programme will be achieved through capacity building trainings.